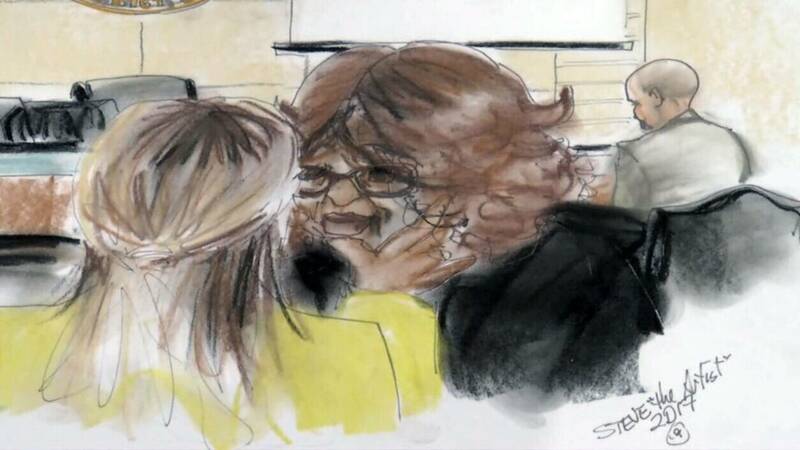 JACKSONVILLE, Fla. - Former U.S. Rep. Corrine Brown's ex-chief of staff testified Wednesday at her federal corruption trial that Brown “was in complete control of where the money went” regarding the use of hundreds of thousands in donations to an unregistered charity for lavish parties, trips and other personal uses. The 70-year-old Brown has pleaded not guilty, and her attorney has argued Simmons was the mastermind and took advantage of the aging lawmaker. Brown is slated to take the stand Thursday in her own defense. A composed and collected Simmons testified before a riveted jury Wednesday that he had been signing blank checks from the Friends of Corrine Brown campaign fund account and handing them to Brown since 1993. He said he didn't have access to her personal bank account, but he did have access to her congressional account and that he controlled the Friends of Corrine Brown account and the One Door for Education Foundation account. The unregistered One Door charity is at the center of the government's case against Brown. Federal investigators said the foundation, billed as a way to give scholarships to poor students, raised $833,000, but only gave out one $1,200 scholarship. According to Simmons' testimony, Brown asked him to make the first withdrawal from One Door's account less than a week after the first donor check was deposited. He said after that her orders came in droves, from demanding cash in her hand to requesting deposits be made to her account to directing check be mailed to Jacksonville. Simmons testified that every cash deposit and withdrawal was at Brown's request. According to prosecutors, that included 82 cash withdrawals for a total of $60,200 from the One Door account. Simmons testified that he gave most of that money to Brown in her office and kept "very little" cash for himself. When asked by prosecutors why he didn't just write a check to Brown from the One Door checkbook, Simmons said "that would have been too obvious." U.S. Attorney Tysen Duva asked why Simmons didn't tell Brown no when she asked for money. Simmons: I usually don't tell her no. Duva: Is that a culture of the office? Duva: Did anyone tell her no? Duva: What happened if you did tell her no? Simmons: I don't know. No one took the time to find out. Brown smiled at that statement and appeared to snicker. She watched closely for the rest of Simmons' testimony, taking a few notes. Simmons' former girlfriend posted in a comment on News4Jax.com that she thinks Simmons lied on the stand. Simmons was convicted of assault against her, giving him a criminal record before the One Door indictment. Over several days of testimony, prosecutors have documented that at least $300,000 of One Door's funds paid for receptions, luxury boxes as sporting events and concerts, and trips and expenses for Brown and her associates. One example in FBI testimony from Tuesday was a $3,000 check with "Children's Summer Camp Program" written in the memo line that was deposited into the account of Brown's daughter, while the two were on a shopping trip on Rodeo Drive in California. Of that amount, $1,000 was then transferred into Brown's personal account. Simmons testified Wednesday that he signed and dated the LA shopping trip check before giving it to Brown and that he could tell Brown's daughter had filled out the amount for $3,000. He said he would only sign and sometimes date checks from the One Door account before mailing them to Jacksonville at Brown's direction. He said an associate in Jacksonville would fill out the pay line and amount, which happened at least three times for amounts of $2,056, $2,500 and $2,000. Simmons said he signed the check with the name of Carla Wiley, the founder of One Door. Simmons was originally expected to testify Tuesday afternoon, but prosecutors spent the entire day following the money trail with testimony from Brown's tax preparer and an FBI forensic accountant. Simmons said when the FBI came to house investigating, "I knew there was a problem. ... a potentially big problem." Simmons said he had to be overly cooperative with the government to get a reduced sentence for his own crimes and admitted another charity tied to the case had given his mother money before One Door ever opened its bank account. Simmons was also grilled about the timing of his plea, which came after the government threatened to indict his sister, a Duval County teacher. The government said she was falsely on Brown’s congressional payroll so Simmons could pocket her paycheck to cover his own bills. Simmons also testified that he forged Brown’s signature on her financial disclosures for the U.S. House more than once and signed her false tax returns at least once. "Is it one? Is it five? Is it 10 maybe? He is really the signature beyond everything, and that is the paint that I would be trying to throw at Simmons all day tomorrow," said attorney Randy Reep, who participated in a News4Jax roundtable discussion about Simmons' testimony. Former federal prosecutor Curtis Fallgatter was also in the roundtable discussion and said the key for Brown's attorney to turn the case around after Simmons' testimony is to focus on why he gave it. "That’s how he earns his liberty. That’s the guy that stole $750,000 and gave it to his sister, and she doesn’t get prosecuted. There’s tremendous bias for that to be accepted, and it’s just his word," Fallgatter said. "He’s the one that took all the money out. He’s got access to the checking account. He’s got debit cards. It’s easy to say, 'She told me to,' but how is that proof when the guy is obviously a crook?" FBI accountant Kimberly Henderson used charts to show withdrawals from various accounts, including an account for One Door for Education, the bogus charity at the center of the government's case against Brown. Withdrawals were also made from Brown's campaign fund and from a Jacksonville charity, among others. Henderson testified that much of that money went into Brown's personal bank account. 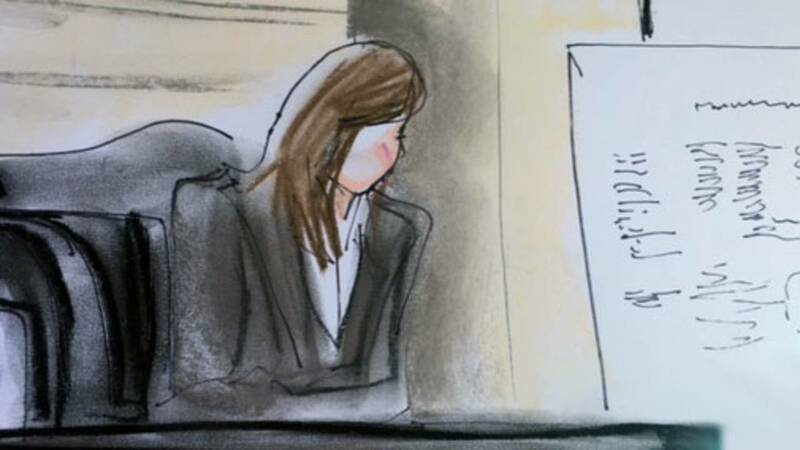 FBI accountant Kimberly Henderson Tuesday afternoon on the stand. The testimony on withdrawals and deposits was lengthy and included photos of Simmons at ATMs actually making withdrawals and deposits into the congresswoman’s account. Brown's tax preparer, Dawn Wright, testified that over three years -- from 2012 to 2015 -- Brown claimed she gave $24,500 to One Door for Education. But Wright said that Brown could not show receipts for those donations or for more than $25,000 in other contributions she claimed she made to churches and other charities. Wright said she told Brown that documentation would be needed but that she took Brown's word about the contributions when filing the congresswoman's tax returns. The IRS could require receipts if Brown were to be audited. Tax fraud is one of the charges Brown faces. Carolyn Chatman, an old friend and staff member of Brown's, was also on the stand Tuesday and talked about how she helped with information to prepare Brown's taxes, including gathering some questionable receipts. 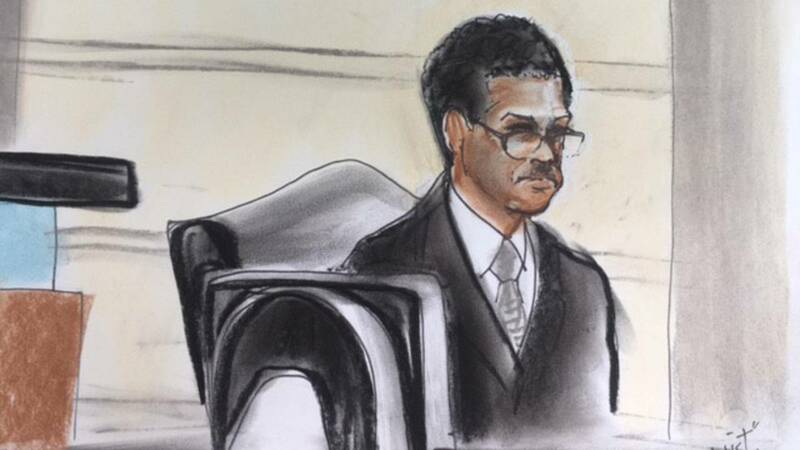 A courthouse observer who has been watching the trial every day told News4Jax on Tuesday that he didn't think prosecutors had connected all the dots yet. Attorney Rhonda Peoples-Waters, who is not connected to the case, said questions remain, even after Tuesday's testimony. "I believe what the government has definitely shown is horrible bookkeeping and accounting procedures," Peoples-Waters said. "Certainly, we are all troubled that there are not some receipts about that, but the issue is: Does that rise to the level of fraud and intent to defraud the government? And that is where the government is going to have to make sure that they back up (the testimony)." Former federal prosecutor Curtis Fallgatter, who is now in private practice and defending one of the prosecution's witnesses who has yet to be called to the stand, said that the government has to prove that Brown knowingly lied about her charitable contributions when filing her taxes, beyond the FBI claiming that she did. He said that without proof, it's possible the tax fraud charges could be dropped.